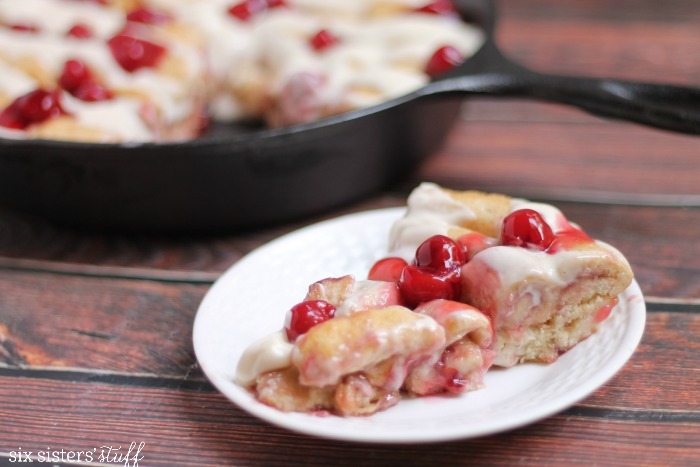 We’ve partnered with Lucky Leaf to bring you this amazing fruit-filled skillet sweet roll that’s drizzled in delicious cream cheese frosting. It’s the perfect decadent dish for an Easter or Mother’s Day brunch, and you’d never guess how simple it is to make! On a flat, clean surface, roll out all of the biscuits individually until they are pretty flat. Take each flattened biscuit and dip them in the melted butter (shaking off the excess), and then toss them in the brown sugar. 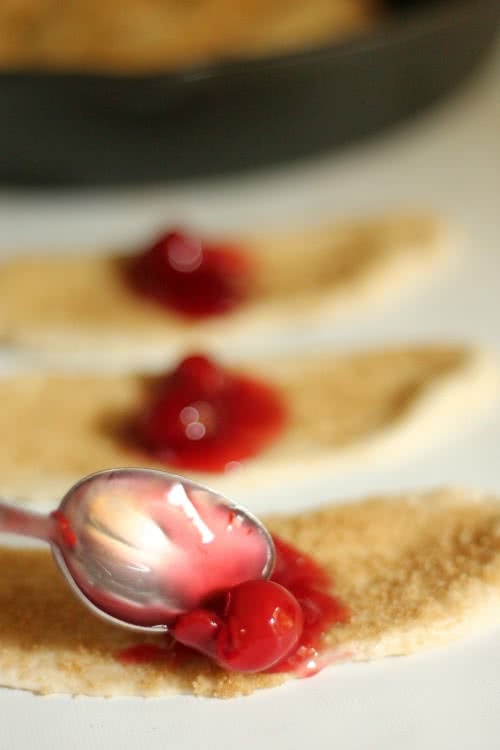 Place a small spoonful of cherry filling in the middle of each sugared biscuit, and then roll them up. Place them in a circle, starting in the center and working your way to the outside of a greased 10" skillet to make a giant "roll". (It's a little messy, but once the skillet starts to fill up, it gets a little easier). Bake for 18-20 minutes, until it starts to turn golden. Remove and let cool 5 minutes before spreading with frosting. In a small bowl, mix together all ingredients until smooth. Pour over the top of the sweet roll. You can adjust the consistency by adding milk (a teaspoonful at a time) until you reach your desired texture. 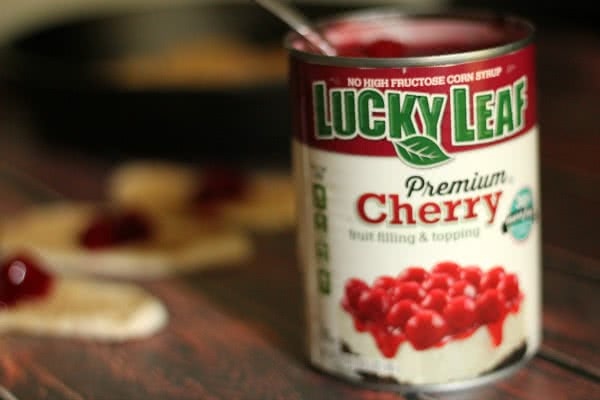 We are all about shortcuts, and with this Lucky Leaf Fruit Filling, you skip a few steps without skipping out on flavor. You can find stores that have Lucky Leaf near you HERE. You can also find Lucky Leaf on Facebook, Twitter and Pinterest for fun ideas and simple recipes! I can't get over how good this looks! Love cherry pie filling! I could eat this for breakfast or dessert. Thanks for sharing. Always love your stuff.